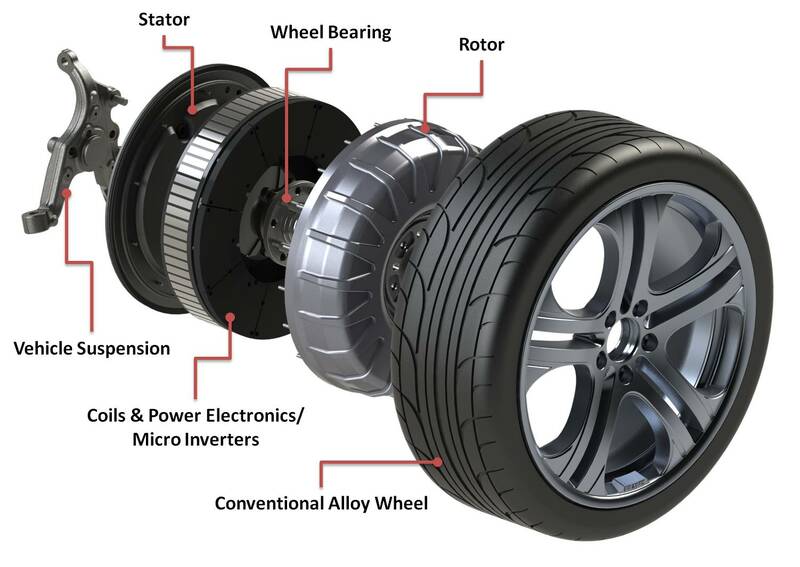 Protean Electric will introduce its production in-wheel motor at the 2013 Society of Automotive Engineers World Congress in Detroit. Protean’s new production motor provides a 25% increase in peak torque compared with the previous generation’s design and can deliver 1,000 N·m (735 lb-ft) and 75 kW (100 hp), not quite keeping pace with the new industry benchmark. Mass of only 31 kg (68 lbs) per motor. Up to 85% of the available kinetic energy to be recovered during braking. Fuel economy improvements up to 30% in hybrid configurations, as compared to the existing vehicle, depending on battery size. Protean Electric, who raised $84 Million in July 2012, is presenting a paper at the World Congress: “Using Vehicle Simulation to Investigate Controllability”.